If you’ve seen my other post, I mentioned being very inspired by bohemian styles so I wanted to make another bohemian inspired earring. 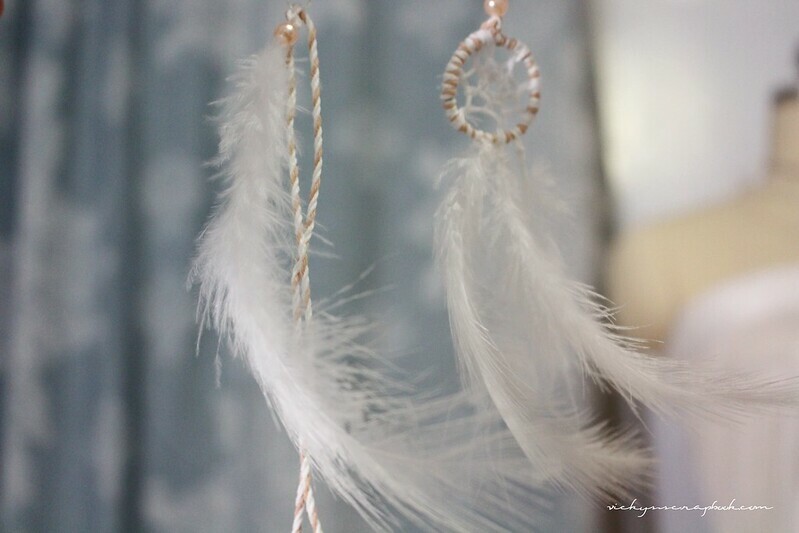 This one is also a “statement” type earring but it’s much simpler than the other one. I really just started off with the earring hook, and attaching a jump ring to it. Then with a long piece of twine I tied it onto the jump ring. 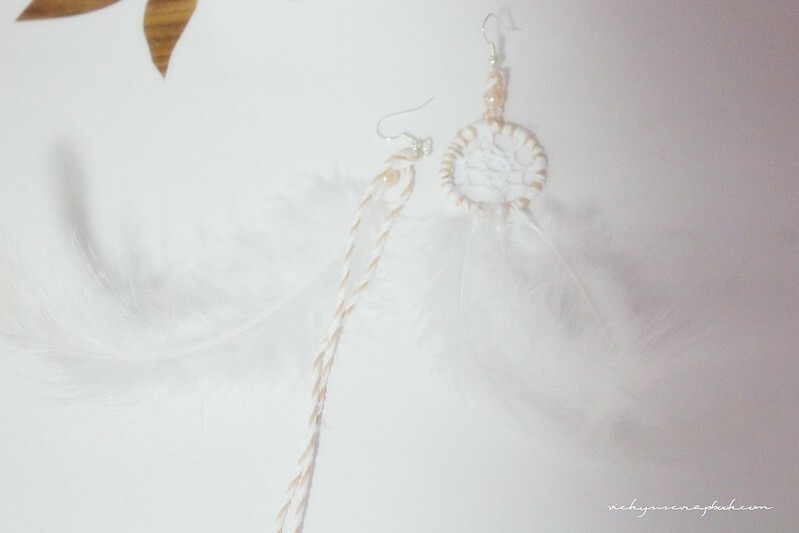 After finding a large piece of feather, I pushed the ends into a pearl bead and sewed it onto the jump ring similar to how I sewed the feather onto the dreamcatcher on the other earring. The one earring is now complete! You could always make another one to match but I kind of prefer the mismatched earring look. This one is super simple and I think it would really work as the statement piece for a simple outfit. What do you think about statement earrings in general? If you liked this post, I hope you could follow this blog or follow me on social media! So pretty Vicky…another clever piece of jewellery. I imagine it fits very well to a summer-ish outfit! Can’t wait to be warmer!